The grain vs. grass issue came out of the U.S where much of dairy production comes from cows kept in pens and fed on grain. 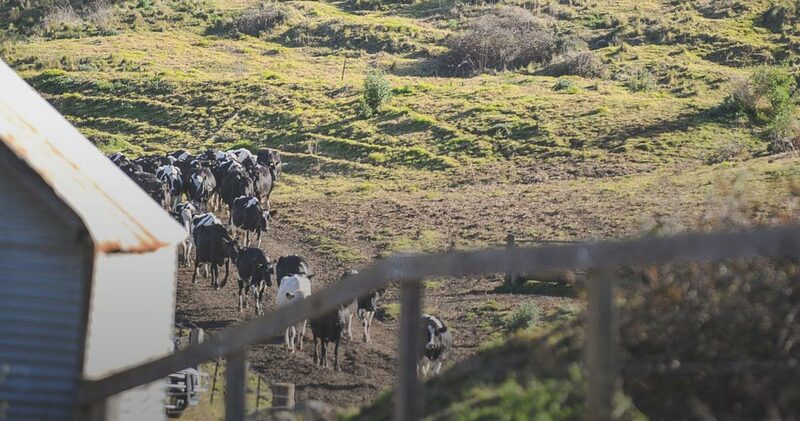 In Australia the majority of dairy cows spend at least part of their day grazing on pastures, and in Country Valley’s case the cows spend most of their time in paddocks. An all grain diet would not be good for the cows or for the quality of milk, but nor would an all grass diet. Cows, like humans, need variety in their diet, too much of one thing and they fall sick or get diarrhea. Country Valley’s paddocks have different types of grasses and plants to help ensure the cows’ stay healthy. Country Valley cows feed on rye grass and clover in the mornings, and are moved to paddocks with harder grasses in the afternoon. Cows eat about 100kg of wet grass per cow/per day and milking cows need to drink almost 100L of water per day as well to produce an average of 20L of milk per cow/per day. Everything the cows eat helps with some part of their milk production; rye grass and clover form the protein in the milk, while the harder grasses give the milk its fats. 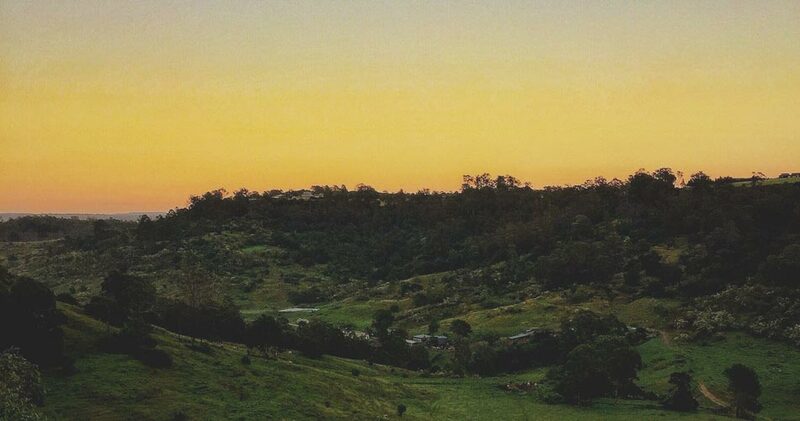 Country Valley has 18 paddocks in use in rotation. In Spring and Summer the pasture takes about 14 days to regenerate after the cows have grazed on it, and in Winter it takes double that. Because the cows still need to eat during winter, but the pasture takes longer to grow back to 8 inches, they are given silage or hay (dried grass in bails) as well. The herd is given a little bit of grain in feeding troughs as they are being milked. It gives them something to do which keeps them happy and calm, and most importantly the grain helps regulates their gut. The amount of grain they are giving in minimal, 3% of their daily feed in Spring/Summer, 6% Winter/Autumn and contrary to popular (and ill-founded opinion) feeding cows some grain is not bad for them and does not equate to cows living unhappily in a feed lot. Some breeds of cows are more suited to dairy production and others to beef production. 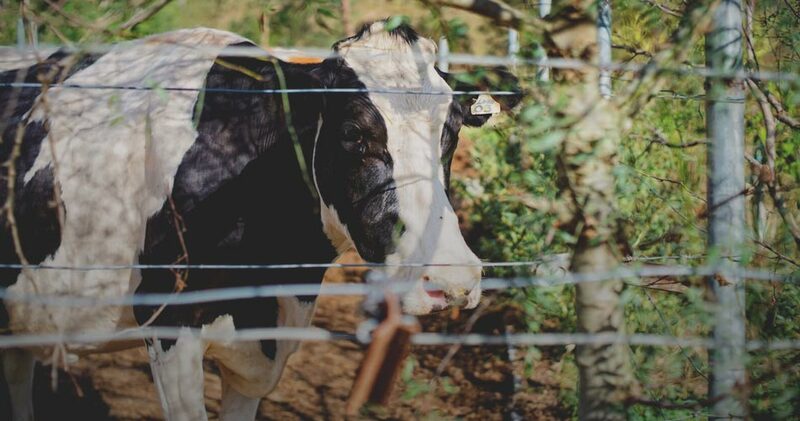 It might seem obvious to some, but for those of us who grew up in the concrete jungle a cow is a cow is a cow…amiright? 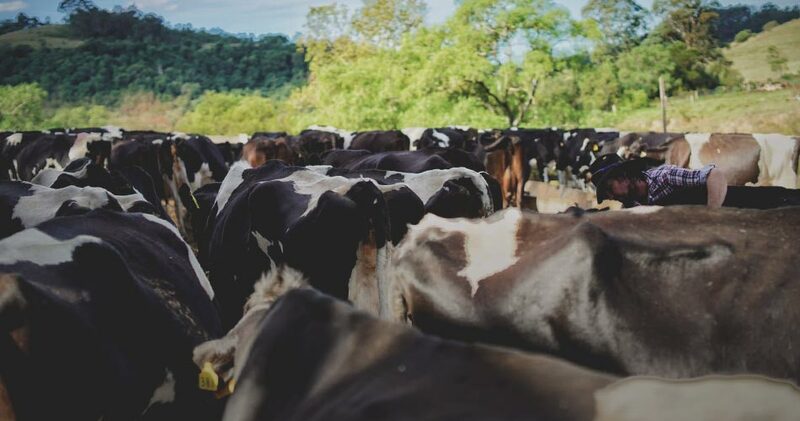 The Country Valley herd is made up of about 60% Friesians (the black and white spotted cows), with the remaining 40% being Jersey cross Friesians, and there are a few pure Brown Swiss and Jersey ladies thrown in there for good measure. Each breed of cow produces a slightly different quality of milk and cream. The fat content of milk from Friesians is about 3.9% while the fat content of milk from a Swiss Brown and/or Jersey is approximately 5.5%. 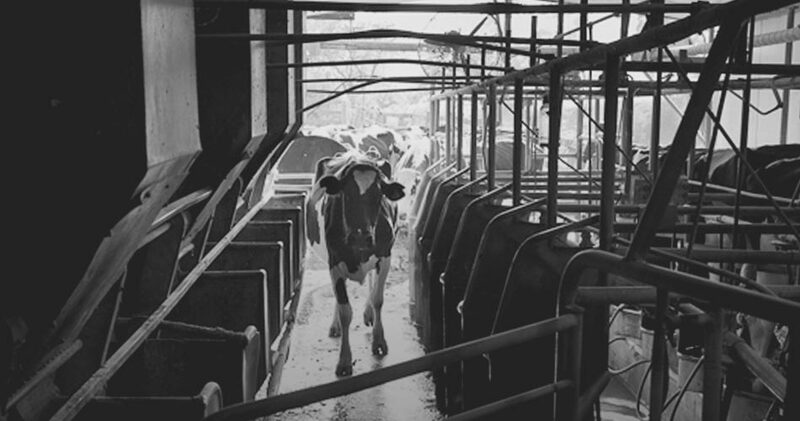 The herd at Country Valley is milked twice a day, once in the morning and then again in the afternoon. They know when they’re ready to be milked and wander up to the milking shed largely by themselves, where they wait patiently for their turn. And yes, it is true what they say about daylight saving, the cows get confused about milking time, and the farmers have a little chuckle. Cows that get sick or develop mastitis are separated from the herd and given the appropriate antibiotics. The cows need to be milked twice a day regardless off illness, (their udders continue to fill up and not milking them would cause discomfort), but Country Valley doesn’t use any milk from a cow which is receiving treatment. A cow being given antibiotics has a bright red tag tied around one of its hind legs and when it comes in for milking, a switch is flipped and the milk is simply diverted away from the rest and discarded. Bobby Calves: As with a lot of things in our industrialised food system, the calves born of dairy cows are out of sight, out of mind. 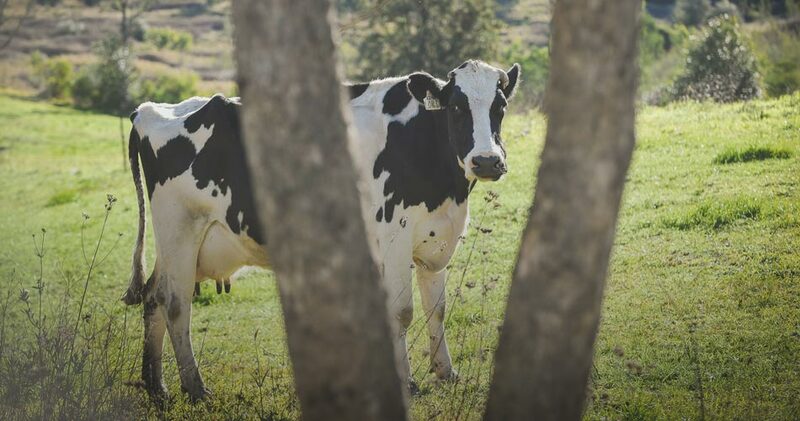 Some of the female calves born each year can be incorporated back into the dairy herd, but what happens to the rest of the ‘bobby’ calves is a big issue for the Dairy Industry. 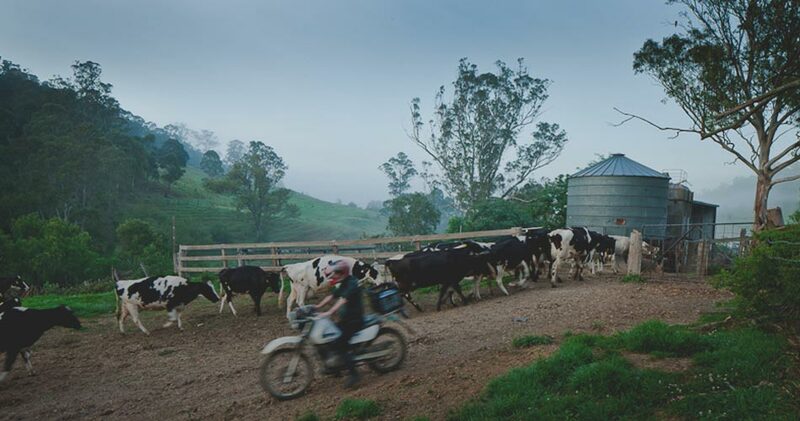 40 years ago farmers like John Fairley of Country Valley, would be able to raise bobby calves to sell, but in this brave new world of $1 milk and slashed prices, the consumer is unwilling to pay the price that comes with raising extra calves. 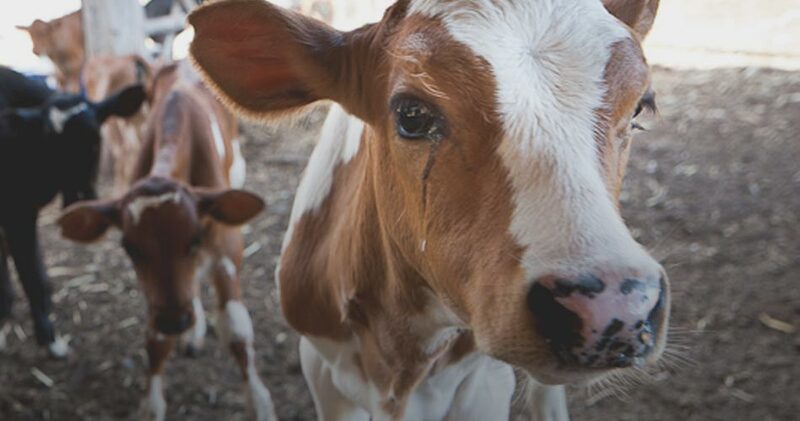 Bobby calves are essentially surplus to need, and because of their low market value they are not typically treated very well. At Country Valley however the calves are left with their mothers for as long as possible (7-10 days vs. 24hrs industry standard) before being moved to a comfortable shed, with straw to lay down on, so they don’t get injured or sick. The Fairleys try to sell their bobby calves to people who will raise them, or they raise them themselves and sell them for meat at 6 months. One way consumers can ensure the better treatment of bobby calves, and help dairy farmers, is to eat more veal. What’s something people wouldn’t know about your job? The cows are in the paddocks most of the day. Being a dairy farmer is less about time spent with cows than people think. What are you most proud of as a farmer? That I’m the 6th generation to farm the same piece of land, and Tom, my son, is the seventh and we’re improving that land year after year. I still work with my Dad too. The family have been farming here in Picton for 150 years. 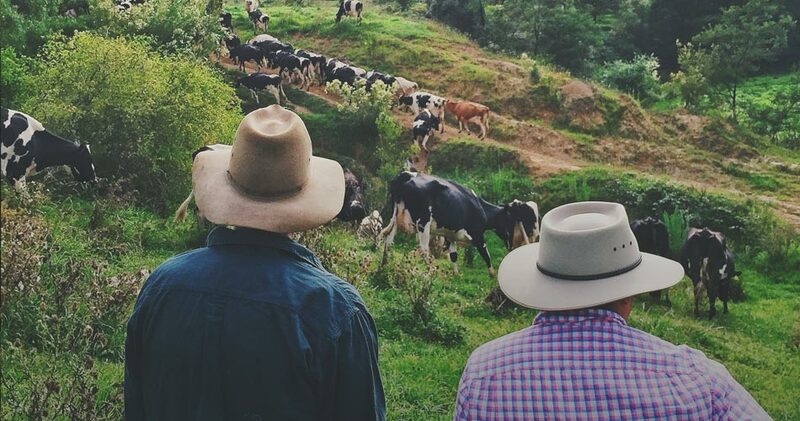 What changes do you hope to see in the Australian dairy industry? I hope to see fair prices become the norm, so farmers don’t miss treat their soil or their animals and can sell a quality healthy product profitably. Do you have any tips for folks at home about milk? Milk must be stored below 4 degrees, so it shouldn’t be kept in the door of the fridge. Buy smaller portions more often, milk should be used within 4 days of being opened. Oh and drink heaps of it! Any final thoughts? Why does everything have to be so cheap? In the long-run, having unhealthy people, land, creeks and oceans is going to cost us so much more than simply paying a real price for our food. 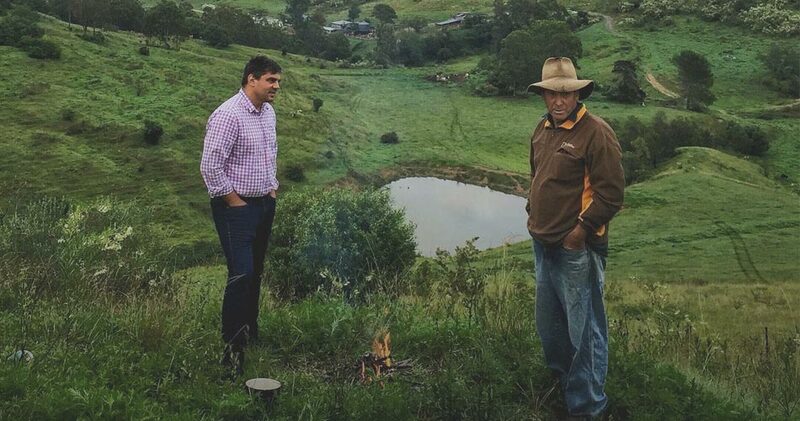 Support farmers and producers like Country Valley and Pepe Saya and know that you’re paying a fair price for a great product.